Keeping Your Street and Parking Lot Clean & Professional! The parking lot is the first impression your customers get about your business. If it is cluttered with trash and debris, it can ruin the way a customer views your company. Think about it - if a parking lot of a restaurant or store is littered, would you want to go there? What would be your feeling about it? You have worked hard to promote your brand and keeping your location clear and clean is a professional representation of who you are. Discourages rodents - The more trash you have, the more appealing your lot/street is to rodents. These animals are unsanitary and could scare off a customer or be a hazard. Prevents erosion - When your lot/street is full of trash, it is a breeding ground for weeds and mold. This will cause the pavement to begin to break down and cost you more money in the long run. Deters littering - People are less inclined to clutter a clean parking lot/street than an already dirty area. Promotes safety and limits your liability - A disheveled area can create injuries for your customers and your employees. Keeps the inside of your facility clean - Dirt and debris can be tracked in from the parking lot and can make the inside areas appear unkempt as well. Reduces pollution - Items that are on the ground can be swept into the water system in your area and make drinking water unclean. 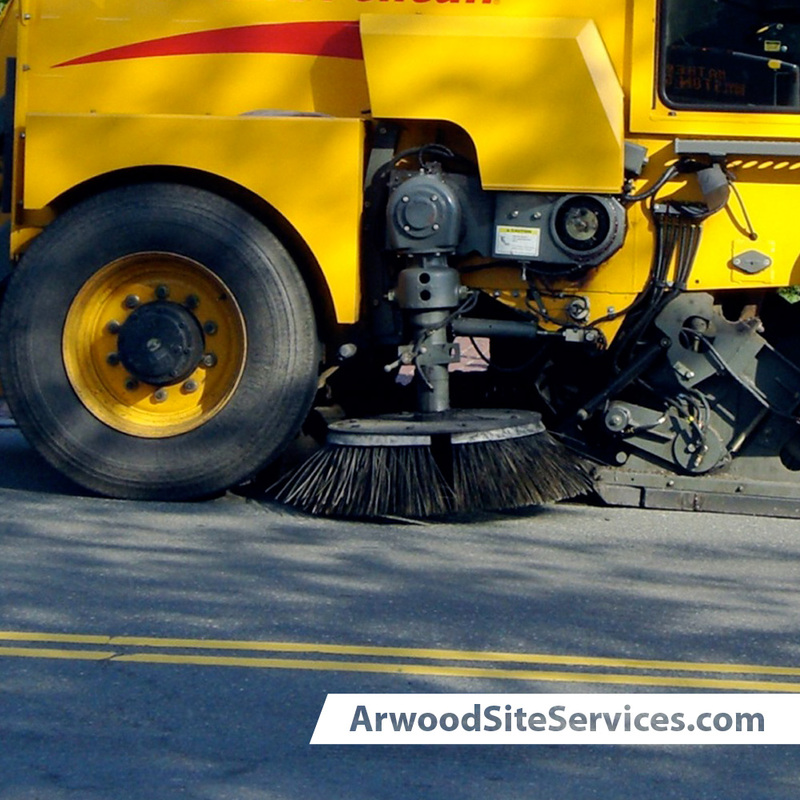 Arwood Site Services can help with all your parking lot and street sweeping needs! Our large, well maintained fleet of sweeping vehicles will keep your parking lot or street looking fresh, professional, and inviting. We offer services to apartment complexes, office buildings, restaurants, churches, industrial parks, parking garages, strip and shopping malls, and many more. Basically, if you have a parking lot or street that needs maintenance, we can do it!